I’m a big fan of facial oils. I used to think they would make my skin greasy and come out in spots (oh the innocence – or is that the ignorance – of youth). I have been won over. 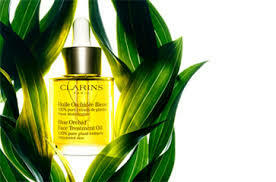 I remember years ago buying a facial oil for my mother from the Clarins range – I would use it myself, of course, whenever I was over and I just remember the smell of it (blue orchid). I suspect Clarins was a bit ahead of its time – and the same facial oil is still stocked by them (why change a good thing?). 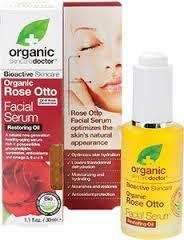 A couple of Christmas’s ago my sister bought me a facial oil from Holland and Barrett from the Dr Organic range they stock with their (then) all-the-rage ingredient – rose otto oil. Unfortunately I dropped said oil on the bathroom floor before I’d got anywhere near to finishing it and was fuming about that act of clumsiness. 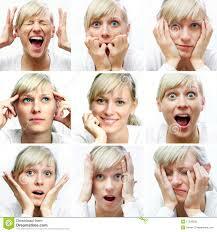 But it did push me to make my own facial oils (after all, how hard can it be, I thought, it is just a blend of oils). But I have also discovered an online recipe from Hello Natural for a rosehip anti-ageing oil so that will be my next treat(ment). What’s your favourite facial oil? 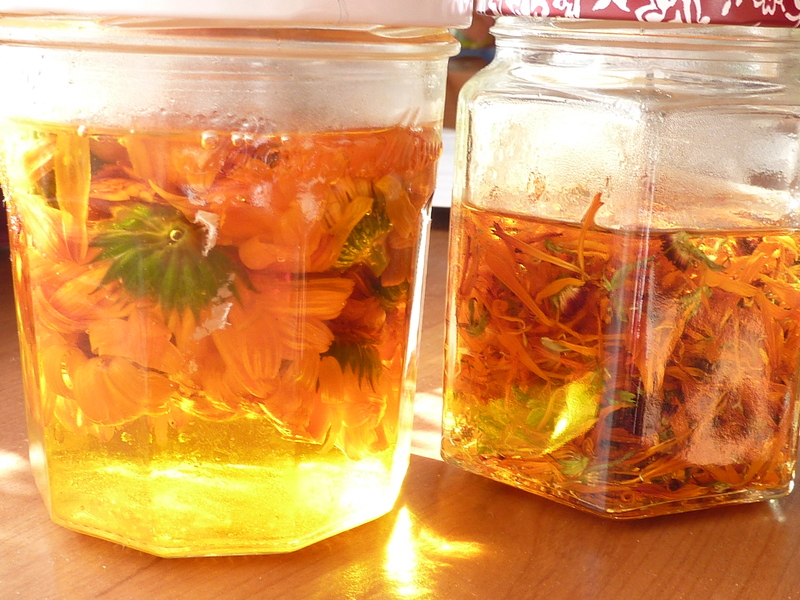 Share your secret with me, whether it’s a shop-bought treatment or home-made. PS. 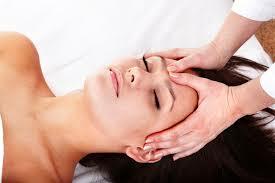 To get the most out of your facial oil, think about massaging it in with a regular facial massage routine. Check out my ideas here. As promised in my last post, here are some oil blends/recipes for massage. First you can go back to a recent post of mine for a Blissed Out massage oil blend. Relaxing blend from Josephine Fairley The Ultimate natural beauty book, Silverdale books. Pour the macerated oils into a bottle (preferably dark) to blend, add the essential oils if using, then shake well and allow to settle. 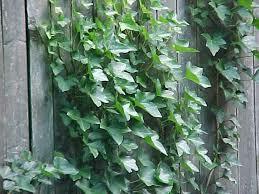 Ivy leaves are easy to come by – even if you don’t have any in your garden, you’ll find them growing in the wild. Bruise the ivy leaves in a pestle and mortar, place in the bottom of a jar (a sterilised jam jar will do the trick) and pour the grapeseed and wheatgerm oil over them. Add the essential oils. Leave the mixture to macerate for one week then strain out the ivy leaves. Massage into problem areas. 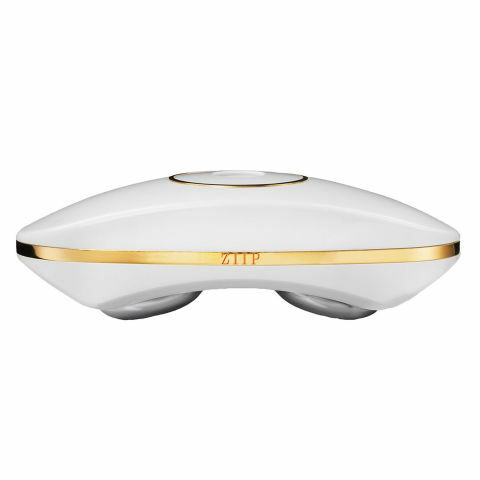 Ideally body-brush first to maximise circulation. Rich hand oil from James Wong Grow your own drugs, published by Collins. 5 drops geranium essential oil. Put all the ingredients in a sterilised jar and shake to mix thoroughly. Massage a small amount into hands and feet as needed. There are several recipes for massage blends in Laurel Vukovic’s book 1001 Natural Remedies published by Dorling Kindersley. Energising, sensual, relaxing, comforting, soothing, morale-boosting. 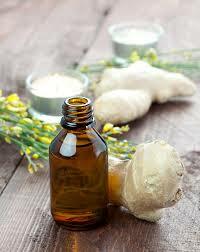 10 drops ginger essential oil.